The Fellowship was fortunate enough to obtain a copy of ODY-C #1 from Image Comics. Matt Fraction writes and Christian Ward draws. Warrior-queen Odyssia is finally headed home after years of war. The gods, however, are not happy that the war is over, and they wish to make Odyssia entertain them for a while. So the challenges begin, including issues with her crew and a run-in with mercenaries. This is probably going to be a long trip home. It’s not every day one sees a retelling of the Odyssey, though the gender changes and outer space setting are an interesting twist. I’m not sure how I feel about reviewing such a well-known story, but the twists give the story a fresher, more modern feel. The changes are very fitting and very timely, and the art is striking to say the least. Between the setting pieces and the coloring, calling it eye-catching seems like an understatement. If the Odyssey taught us anything, it’s that sometimes peacetime is as complicated and violent as wartime. There are many other lessons to be learned from it, and this version is a fun way to experience it. 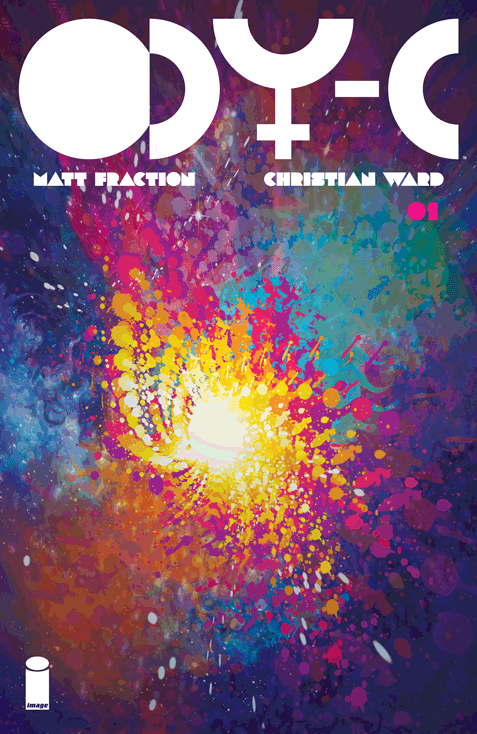 ODY-C #1 is available now at your FLCS or at imagecomics.com.